A bamboo one with a big diameter so I can drink “bubble tea”? A steel option that is at 35 cm in length, so I can leave it in my reusable water bottle? Or the copper one, purely for the color? Which straw? I have faced the same dilemma before; but back then, as an eight-year-old, it was whether to go with the flexible one in red with a twist in the middle, the blue one with two loops, or the yellow option with the sparkles. I was overwhelmed. And as you’d expect of a kid, I picked them all. Now, those three reusable plastic straws are probably in a landfill somewhere or traveling the oceans. So again, which straw? Actually, a decade and a half after that indecision, I categorically choose no straw. Nope. Don’t want them, don’t need them. I’ve seen the light: “reusable” doesn’t mean “forever” – these straws have a shelf-life too and will eventually end up in the trash. Riding the wave of social-media activism against single-use plastics, a new product has sprung up in the sustainability movement: the reusable straw. You can’t miss them. Instagram, for example, is full of ads touting the virtues of reusable, sustainable straws – shouting “Buy me!” For a brief moment, I found myself, again, evaluating the merits of straws. They’re less whimsical now – no loops, no sparkles. And to complement the very seriousness of the product on offer, they come almost with a moral imperative – “Buy me and save the world, the sea, the turtles.” But adult-me can now question that shibboleth. Why do I even need one? At the start of the summer, a video of the Caribbean tourist destination, the Dominican Republic, went viral. Where you’d have expected shots of the surf spraying and teasing the sand, there were instead flashes of red, blue, white and black: plastics. Plastic bottles, plastic bags and plastic straws so densely packed together you wouldn’t imagine an ocean beneath it all – except for a hint from the occasional swell from a wave of synthetics. The video was released by activist group Parley, known for its “Run for the Oceans” collaboration with Adidas. Social-media environmental campaigns like Parley’s and Lonely Whale’s StopSucking are part of a series of single-use-plastic-ban announcements in the past few months. In April, Britain announced a ban on all single-use plastics, including straws and cotton swabs. The new ban follows the country’s imposition of a charge on plastic bags, which has reduced single-use plastic-bag consumption by 90 percent. Following closely behind, during a World Environment Day conference, the Indian prime minister, Narendra Modi, pledged to ban all single-use plastics by 2022. Some Indian states have actually already done that: in Maharashtra, of which mega-city Mumbai is the capital, businesses and residents found breaching the ban are fined and even face jail time. Perhaps in response to these government initiatives, big business has jumped on the bandwagon. Starbucks announced it would retire its famously recognizable green straw by 2020. In its place will be a new recyclable plastic lid that resembles that on a “sippy cup.” Meanwhile, McDonald’s in Malaysia has stopped offering straws – they are only supplied if requested. In the Middle East, the supermarket chain Waitrose implemented in the UAE a trial plastic-bag tax of about 6 US cents per bag in hope that customers would bring their own reusable bags. Apart from Waitrose, restaurants and hotels around the region are joining the straw ban. So, all good and marvelous. The reusable idea is gaining traction. Yet, I cannot help but think that in the realm of reusable, there are good ideas and bad ones. Some things are just so pointless that we don’t even need reusable versions. Just bin them (metaphorically). Straws have been around since the 19thcentury, and they are now everywhere. They are fun and convenient. Some us need them – like hospital patients, to take just one group. But the vast majority of us don’t. What is so difficult of sipping directly from your cup? And while reusable straws are better than single-use straws, they still cause environmental harm. 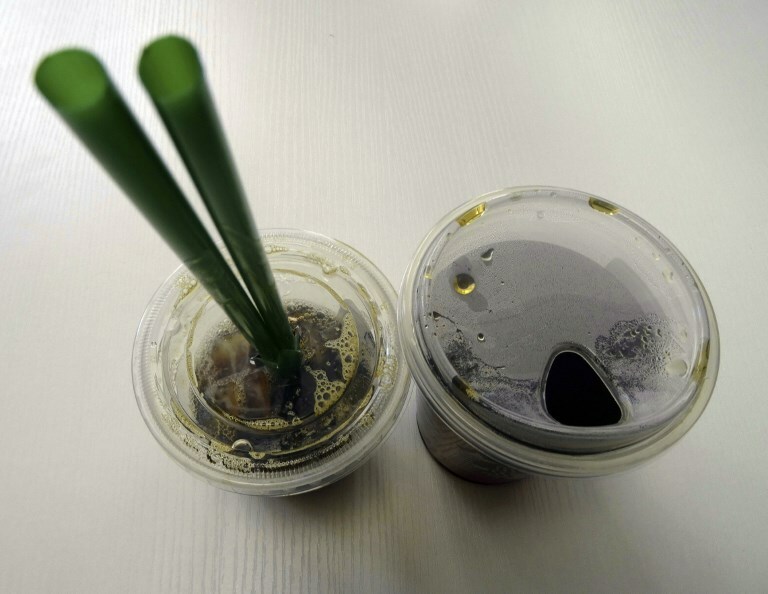 The mass production, packaging and even recycling of these straws creates industrial waste. As the idiom goes, we’d be taking two steps forward and one step back. Energy must be expended to mine minerals, to smelt ores and to fashion and finish each metal straw. Even bamboo straws require industrial-level processing. A ridiculous amount of effort and waste to serve a function no adult really should want to be seen performing. A trivial matter, perhaps? Yes, if it wasn’t for the very real environmental damage being committed against the Earth. I would urge all those in the sustainable movement to pause before purchasing a reusable straw. Really, drinking isn’t that hard. Alexa Mena is a writer for the online health and fitness magazine, livehealthy.ae.